I was recently contacted by a guest looking for a wheelchair accessible Orlando villa. Most owners normally mention if the home is disabled friendly in there descriptions. 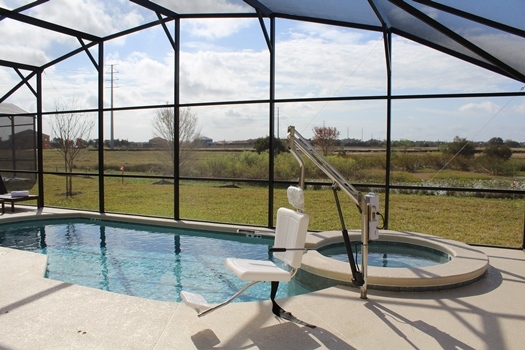 As a result I have put together a blog post listing all the wheelchair accessible Orlando villas available on VR360homes. We searched through the site and have put together a list of disabled friendly Orlando vacation rentals. I have included the information the owners have listed about the homes accessible facilities. Therefore please double check with the owners before you book to make sure this is correct and hasn't changed. The first wheelchair friendly Orlando villa is a 5 bedroom 3 bath located on Highlands Reserve (ID 3665). It has ramped access, a pool hoist and a ground floor accessible suite with roll in shower. The owner Ivan is a wheelchair so has adapted the home to make it as wheelchair friendly as possible. The ground floor accessible suite consists of a bedroom and bathroom with a roll in shower, fold down seat and grab bars, 2 way shower, shower wheelchair. To check available or ask the owner any questions about the wheelchair accessible facilities please contact them direct. The next wheelchair accessible Orlando villa we have is on Crofton Springs at Providence (ID 1392). This disabled friendly vacation rental has 4 bedrooms and 3 bathroom. Fully adapted for wheelchair use with widened doors, pool hoist and a roll in shower room. Please contact the owner to get more information about the wheelchair accessible villa facilities. Wheelchair accessible Orlando villa on the Abbey at Haven minutes from Disney World (ID 1546). This luxury 4 bedroom 3 bath vacation rental has extra large doors to accommodate wheelchairs. The rear master suite has been adapted to be wheelchair friendly and gives direct access to the pool. The rear master has a disabled friendly bathroom with walk in shower and seat. Handrails by w.c. The South facing pool has a removable hoist for easy access in and out of the water. If you would like to book or ask any more questions about the wheelchair accessible facilities please contact the owner direct. 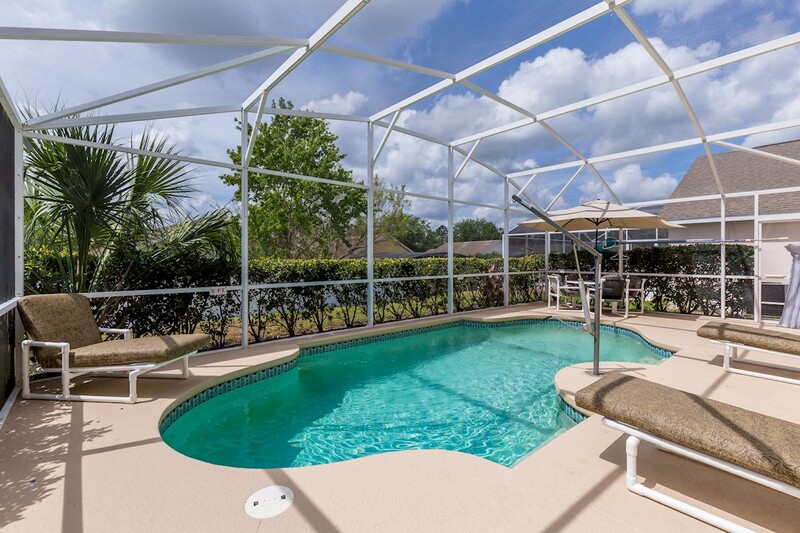 This stunning wheelchair friendly Orlando villa is located on the Reunion Resort. It features a a Zero entry West facing poolwith hoist and is probably one of the best equipped homes we have. The ground floor is step free and has been fully adapted for wheelchairs. 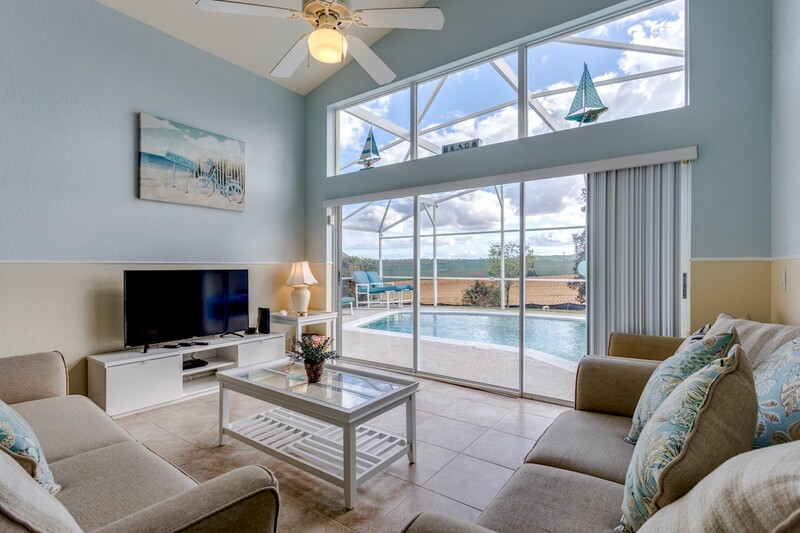 This amazing vacation rental can sleep up to 16 guests and is just minutes from Disney. As you can imagine this home gets booked up quickly, therefore it's a good idea to plan well in advance. 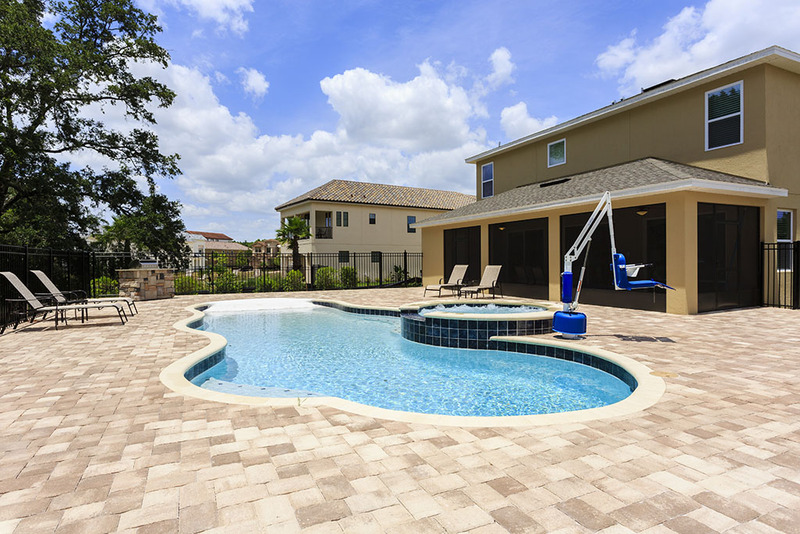 We hope this list of wheelchair accessible Orlando villas helps you find the right home for your dream vacation. We will update our blog post with more disabled friendly Orlando vacation rentals as they are added. Finally if you own a disabled accessible Orlando villa and would like to advertise with us please let us know. Furthermore if you have stayed in any of the above disabled friendly Orlando villas please let us know what you thought by leaving a comment below.